Are you either of the people shown above? If not, please don’t try to sing “Crazy”. The past several weekends have involved a fair amount of manual labor, which has reminded me how happy I am that I don’t do that kind of thing for a living anymore. On one of my beer breaks I flipped on the TV to see what horrors it held for me, and I was reward with one horror, and a couple of great stories. First, the horror: Someone who was neither Patsy Cline nor Willie Nelson was attempting to sing “Crazy” on what passes for country music TV. It was pathetic. (Patsy Cline made that song hers, but Willie wrote it and his take on it is authentic). There are some songs that simply shouldn’t be done by folks who aren’t up to the task, Crazy is one of them. Stick to that pitch and tempo corrected bubblegum country crap, don’t defile masterpieces. You may be wondering about the InfoSec angle here- but there really isn’t one. Most of us who are in InfoSec did it very badly and passed it off as good enough for quite a while when we started out- and many of us still do. That’s the nature of what we do, we rarely have the luxury of delivering “masterpiece” quality work, we do the best we can in the situation; expecting perfection is naïve in our world. 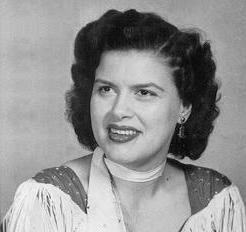 In InfoSec, even Patsy Cline would be reduced to singing “99 bottles” with some regularity- and as with pop music, in InfoSec we get what the market demands and what the market will pay for. By the very nature of what we do we are technicians, not artists. If I were deep I might reflect that this may be why so many in InfoSec have artistic outlets- but that’s a simple answer to the complexity of humanity. Now, about the good stories… those are for tomorrow.